along this backwoods ski path. 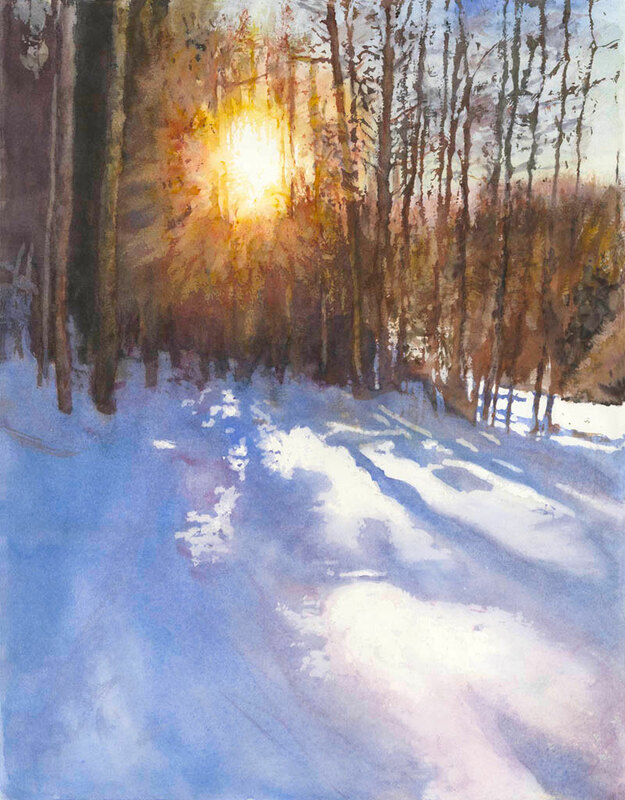 Signed and numbered limited-edition reproduction by watercolor artist Preston Steed. The image size is 22x17 inches and is printed on archival matte paper (paper size 19x24) with archival ultrachrome inks. This type of printing technology is called "giclée".